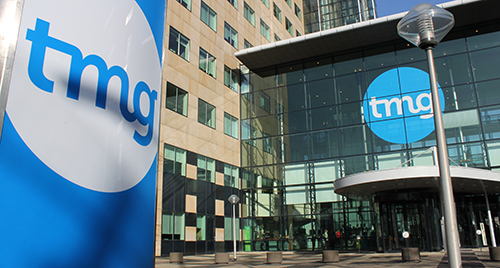 The results of Telegraaf Media Groep ('TMG') for the first half of 2017 were significantly lower than those for the first half of 2016. This development was already visible when the results for the first four months of 2017 were reported on 26 May. Excluding extraordinary and one-off items (particularly restructuring charges and the costs related to the two public offers), in the first half of 2017, TMG reported a negative EBITDA of € 6.1 million, compared to a negative EBITDA of € 1.6 million in the first half of 2016. This is mainly the result of the further decline in advertising revenues, which was to a significant degree due to portfolio rationalisations. The above-mentioned EBITDA development relates to continuing operations and therefore excludes the results of Keesing Media Group ("Keesing") with a view to the upcoming sale and it also excludes the results of the entities contributed to the radio partnership with Talpa. Upon completion, the sale of Keesing will lead to a significantly positive cash position. Semi-Annual results 2017 of Telegraaf Media Groep N.V.
Telegraaf Media Groep N.V. (TMG) is one of the largest media companies in the Netherlands. We provide consumers with high-quality, personalised and relevant content, 24 hours a day, 7 days a week, with a focus on news, sports, lifestyle and entertainment. We do this through all possible media and platforms: online, mobile, video, print, radio and events.